Events | Holiday Dance Studio, Inc.
Friday Night Dance Parties, Live Music, Costume Balls, and Formal Events all year! All Friday Dance Parties are open to the public! Members and non-members are welcome to the Friday Night Dance Parties. $10 for non-members. A group lesson and refreshments are included. $15 per person includes a group lesson before the performance and refreshments. Bring on the Luau with Ken Carpenter and the Nailers! ​Everyone is welcome to Holiday Dance Live Local events! 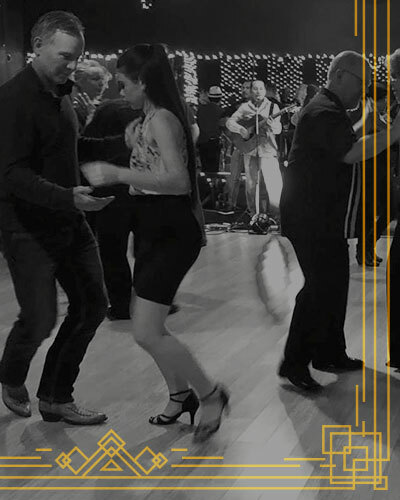 ​Embark on a local live music journey at Holiday Dance Studio! We are dedicated to supporting our local live musicians at least one a month. Please join us in our endeavor to help local musicians while learning to dance and have a great time!